The Handy Pail range is compact and durable; ideal for a wide range of lightweight, portable storage applications around the home, garden, shed, workshop or office. Featuring a superior leak proof seal, unique lifting lug and easy peel back lid the 1L to 20L Pail range is your user-friendly solution. 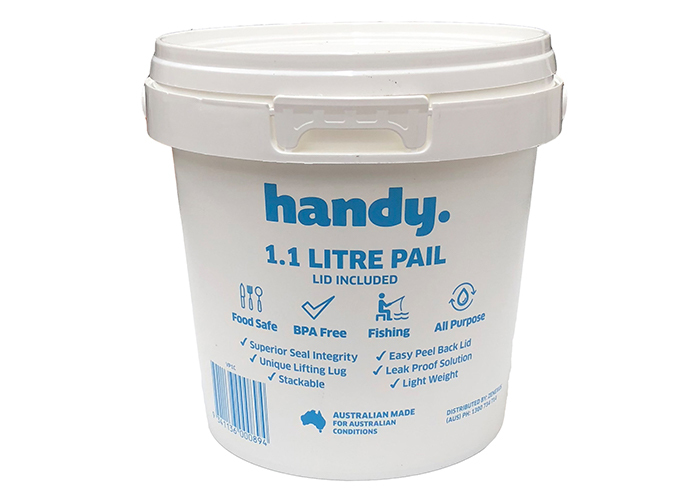 This 1Ltr round, compact, durable plastic pail by Handy is ideal for a wide range of storage applications around the home, garden, shed, workshop or office. Lightweight and stackable the Handy Pail is great if you need portability. It features a superior leak proof seal, unique lifting lug and easy peel back lid making it very user friendly. 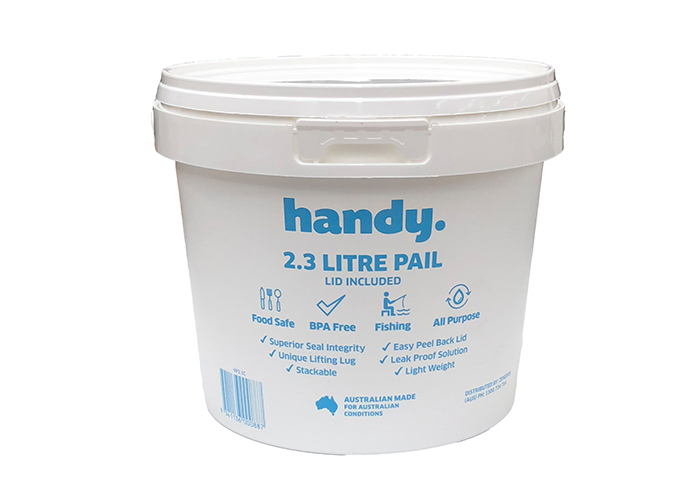 This 2Ltr round, compact, durable plastic pail by Handy is ideal for a wide range of storage applications around the home, garden, shed, workshop or office. Lightweight and stackable the handy Pail is great if you need portability. It features a superior leak proof seal, unique lifting lug and easy peel back lid making it very user friendly. 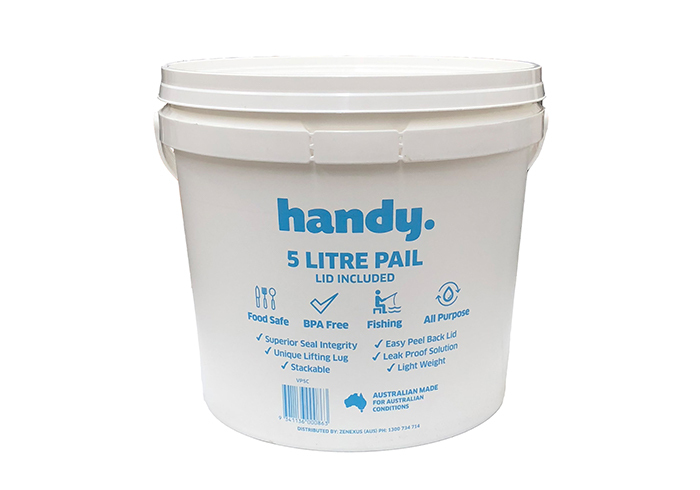 This 5Ltr round, compact, durable plastic pail by Handy is ideal for a wide range of storage applications around the home, garden, shed, workshop or office. Lightweight and stackable the Handy Pail is great if you need portability. It features a superior leak proof seal, unique lifting lug and easy peel back lid making it very user friendly. 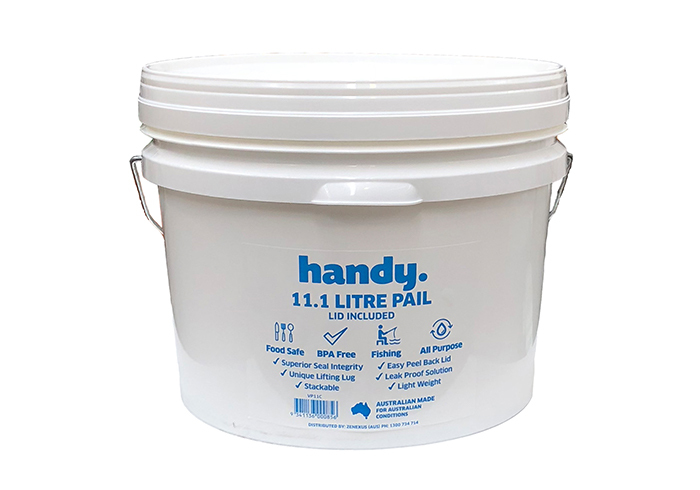 This 11Ltr round, compact, durable plastic pail by Handy is ideal for a wide range of storage applications around the home, garden, shed, workshop or office. Lightweight and stackable the Handy Pail is great if you need portability. It features a superior leak proof seal, unique lifting lug and easy peel back lid making it very user friendly. 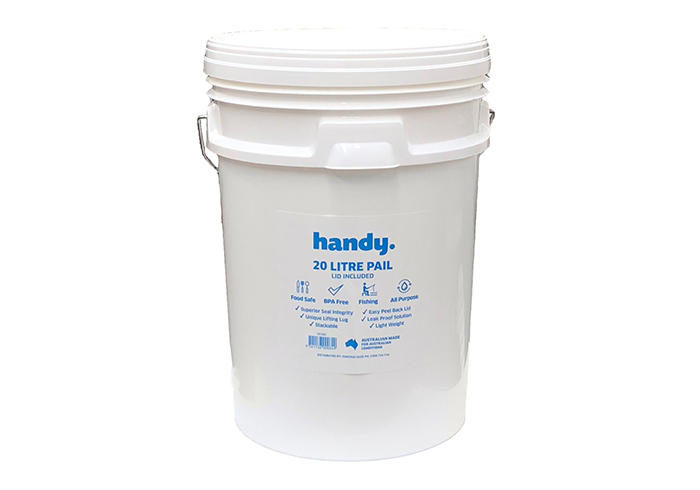 This 20Ltr round, compact, durable plastic pail by Handy is ideal for a wide range of storage applications around the home, garden, shed, workshop or office. Lightweight and stackable the Hany Pail is great if you need portability. It features a superior leak proof seal, unique lifting lug and easy peel back lid making it very user friendly. 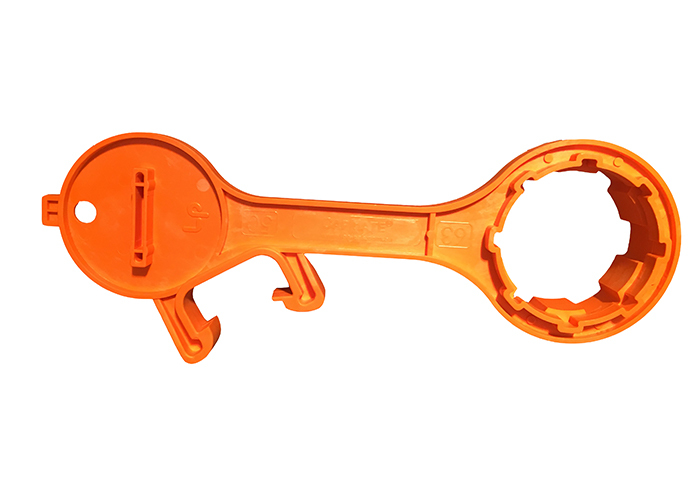 The Handy Pail Spanner is made from Engineering Grade Reinforced Nylon and is the perfect everyday tool to help undo those hard to open plastic caps, lids and bungs.